Mr. Hiroshi Kitamura who lives in a house in Yamato plateau Yamazoe-mura operate this farm. The predecessor was changed to MOA natural farming in the plantation about 40 years ago around 1969. 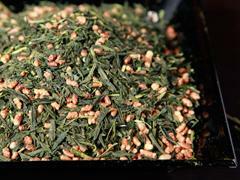 Mr. Hiroshi Kitamura is on the basis of natural farming uses handmade organic fertilizers, in order to pull out sweetness and taste of tea. 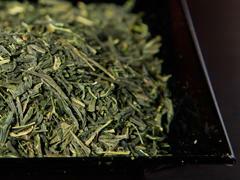 As along the agricultural materials which is considered environmental, high quality Japanese tea is produced. 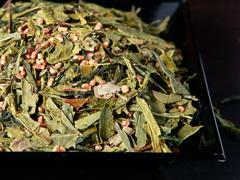 This tea garden is a reliable by safety and flavor both sides. Mr. Kitamura is like nice brother who makes us easy to communicate. Mr. Kitamura’s soul ”prosperity(iyasaka)”. In spite of being a pioneer of the natural farm in the area, there is also no sign to swagger, no patronizing, he rather take care of younger men, and take a relation to support each other. It interacts with Mr. Kenichi Igawa of a Kenichi natural farm and Mr. Kazuto Hama of a Hama farm. 「I am not professional yet. There are splendid seniors. The world of tea is very deep.」 and his humble posture continues with daily work.